Tutorials for Sale Archives - Stamp Your Art Out! April Tutorials & New Storage! The April 2019 Project Tutorials from our Stampin’ Anonymous team are ready! This month we focused on projects that celebrate the women in our lives. Here are peeks of the projects we each made in the graphic below. Can you tell which one I made? **Once I see that you’ve made the purchase, a link to the tutorial bundle/s will be emailed to you! How fun!! Stampin’ Up! is now offering new organizational products! And they are available to everyone starting today!! 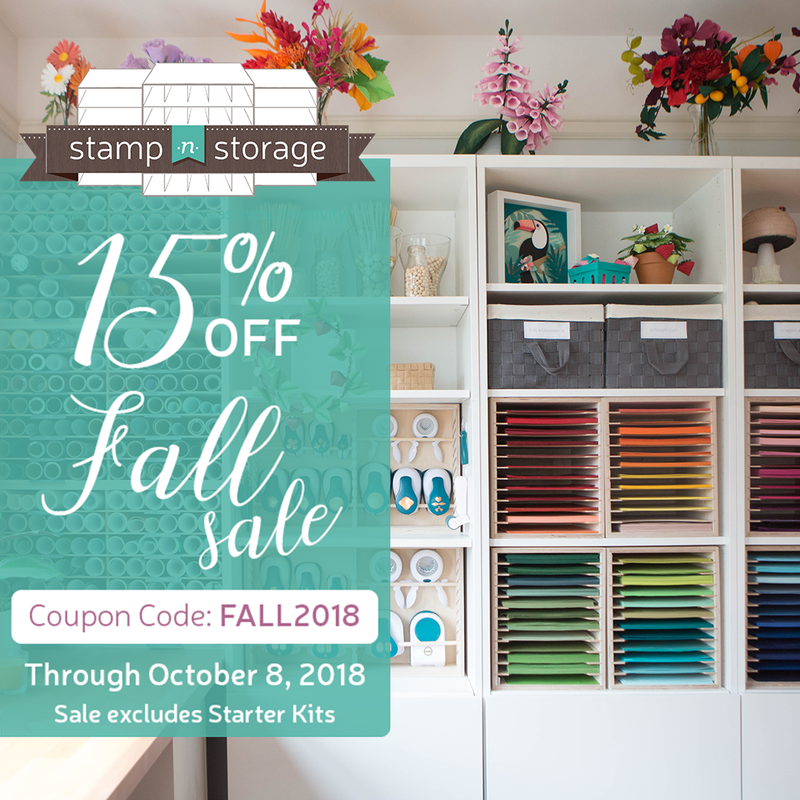 Storage by Stampin’ Up!® is for those of us who want to interchangeable, stackable, customizable storage solutions for your Stampin’ Up! ink pads, markers and more! I’m thinking these will be great for me to take on my retreats, because they are light weight. Then I’ll have all my tools organized and easy to access right in front of me on my fun weekends away. Click here to watch a video showing lots of ways to stack and build with these modules. Click here for a planning/configuration chart. And click here to access the informational flyer. Twelve Months of Home Class & Big Sale! 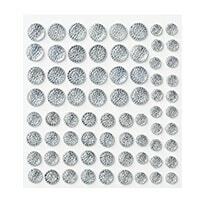 Look at this gorgeous home décor item! My friends, Nancy Forsberg & Vicki Spicer came over one evening. (Kayla also came and hung out with us Ü.) We brainstormed and collaborated so we could each put one set together. And now I have mine on display in my home. My plan is to update it each month by changing the “O” to a design that coordinates with that time of year. We saw the idea of this great project after fellow demonstrator, Sandy Carlson shared it at our Creative Connections event this fall. She got the idea from Cindee Wilkinson who didn’t want to take credit for the original idea either. I guess these have been out there for awhile. But we were thrilled to finally be introduced to the idea! The directions would take me a month of blog posts, so I put those many hours of work altogether into one printable big tutorial that you can purchase on my Tutorials for Sale page. This is a great option if you have or are able to access many of the products/supplies needed. The third option for those who do not live locally, but still want the supplies & the tutorial is to sign up by December 3rd for my “to-go” class. You would have to have some base products which you will see listed when you click on that link. I would provide the consumables, some other fun & needed products, the Velcro dots, the link to the 16-page tutorial, and December 14th Priority Shipping. Please note that this option is for US residents only. Let me now if you have any questions! SIX DAYS. THREE SALES. ONE SPECTACULAR PROMOTION…ONLINE EXTRAVAGANZA! 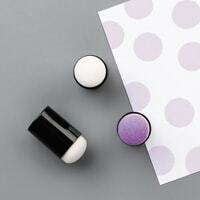 PLUS this year, I’m including a bonus bundle of exclusive tutorials that my Stampin’ Anonymous Design team put together for this special occasion. So if you place an order (any size) between November 23-28, I’ll email you a link for these fun stocking stuffer/gift ideas AND the November tutorial bundle (if you haven’t already gotten it). That’s 12 “Better than Flat” project ideas just for ordering from me during the Online Extravaganza. The bonus tutorials will not be available for purchase separately, so you’ll want to be sure to place your order with me during this time to get your hands on them. There are three, 48-hour sales featuring a selection of products from the 2018–2019 annual catalog—all at 10% off**! 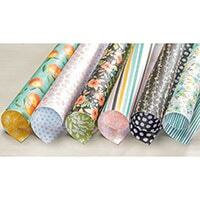 November 23–24 – PAPER & EMBELLISHMENTS are 10% off! 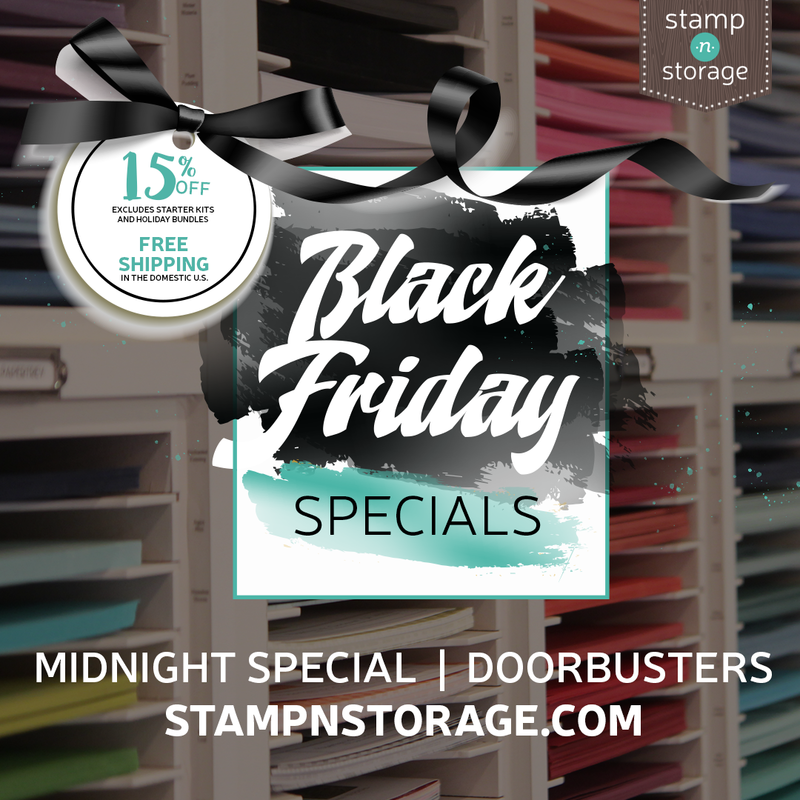 November 25–26 – STAMPS & KITS are 10% off! November 27–28 – TOOLS & INK are 10% off! To see the full selection of discounted items during each 48-hour sale, visit my Online Store. **While discounts will be available for most items, some exclusions apply. These non-discounted items include—but are not limited to—the following products: Host stamp sets, Paper Pumpkin (prepaids, monthly subscriptions, past kits/refills), Big Shot, Stamparatus, and Bundles (which will not receive additional discounts during this promotion). Item quantities are limited. Depending on inventory levels, discounted pricing may or may not be available for items featured in the promotion throughout the entirety of each 48-hour sale. Discounted items may be turned off if their supply reaches a predetermined threshold. Now through Monday, November 26, 2018. CLICK HERE FOR MORE DETAILS and to shop. The Craft & Carry Stamparatus Bag is coming! It will debut December 5, 2018! 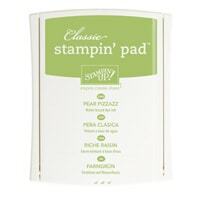 Do you find that you order at least $25 worth of Stampin’ Up! product each month? Do you want to get perks for those monthly orders? I’m forming a new Paper Crafters club that will kick off soon, and we are looking for new members. Click here to learn more. Then contact me with your questions &/or to sign up. We are currently looking for FOUR more members so we can start another new club this month or next. Who is ready?! By the way, the White Velvet paper is now sold out – no longer available. The October “Better Than Flat” Project Tutorials from our Stampin’ Anonymous team are ready! This is the second month of offering these tutorials, and we’ve had lots of great feedback from our September bundle. Thank you! 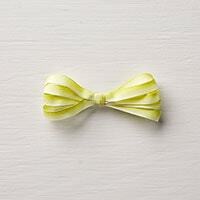 These tutorials include only Fun Fold cards & 3-D projects. And we are excited to share them exclusively with our customers, paper crafting friends & team members each month! Place an order with me* (directly or through my online store) during this month of October, and receive the October tutorial bundle for FREE! Once I see that your order is placed, a link to the tutorial bundle will be emailed to you! (I’ll send it to you when I get the notice of your order.) I’ll also resend it at the start of November to make sure I got it to everyone who ordered. World Card Making Day (WCMD) is a national holiday that began in 2006. This year it is Saturday, October 6th. It’s a day that brings paper crafters together to focus on getting their cards ready for the holiday season. But it also brings attention to how important giving the gift of a hand-crafted and hand-written card be. To celebrate WCMD, I hope you’ll join me this Wednesday, October 3rd at 11 AM Central Time on my Facebook Page for my next Online Paper Crafting class. 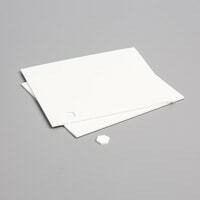 I have a beautiful Vellum Window card to demonstrate. And if you can join me and comment while I’m live, you may win one of my prizes! Stampin’ Up! 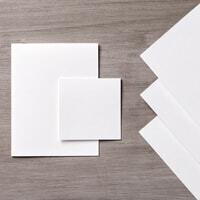 is helping to make WCMD even better with 10% off select paper crafting products October 1-7. Click here to download the flyer. Then click here to place an order in my online store or contact me. One more bit of news… New accessories are now available for the Stamparatus!! Click on each item number below to see these items in the online store. Now that these accessories are here, they are staying! They will be rolling into next year’s 2019-2020 annual catalog. AND there’s more coming… Watch for the release of the Craft & Carry Stamparatus bag soon! I am so excited for my new adventure, and I finally get to share this great news! 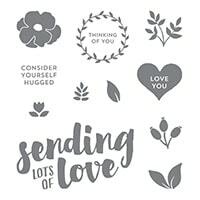 Five super talented Stampin’ Up!® demonstrators and I have joined together as the “Stampin’ Anonymous team” to create Fun Fold cards & 3-D (“better than flat”) projects to share exclusively with our customers, paper crafting friends & team members each month! We’ve made a goal of partnering for 6 months with September as our first! And these first fun seasonal ideas will feature many new products debuting in the 2018 Holiday Catalog on September 5th. There are 3 ways you can get your hands on this first set of exclusive tutorials. Thanks so much for stopping by today! I know you will LOVE what we have to share. Today is the first day to redeem those coupon codes! Every $50 you spent in the month of August earned you a $5 coupon code to redeem this month in September! Click here for more information including directions for redeeming your codes with your September order in my online store. I’m excited to share papers, ribbons, & embellishments with you from the 2018 Holiday Catalog debuting September 5th! CLICK HERE to find out more information about my popular product shares! I’m taking sign ups through September 4th (if shares are still available). I hope you like what we share! I took some of the same products that I used to make my July tutorial project and came up with this card to share with you. Here is some information that might be helpful if you wish to recreate this card (or a version of it). Whole Lot of Lovely Designer Paper: 2-1/4" x 4"
Lemon Lime Twist Ombre Ribbon: about 14"
Ink up the flower image with Tangerine Tango ink. Stamp onto scrap paper to remove some of the ink. Use a Sponge Dauber to sponge on more Tangerine Tango ink here and there on the rubber of the stamp. Stamp "Sending Love" verse towards the bottom of the folded card base using Memento black ink. Stamp foliage images in Pear Pizzazz as shown. Attach designer paper on the top half of the card front. 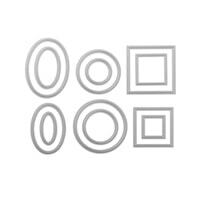 Add the die-cut circle with Dimensionals. Use a black permanent marker (Sharpie brand is what I used) to color a small Clear Faceted Gem while it is still on the sticker sheet. Peel it off when it's dry and add it to the center of the stamped flower. Thanks for visiting my blog today. Check out all the other blogs by clicking on the names of other participants in the list below so you can see a great collection of hand-stamped cards and paper crafting projects. AND…if you like what we share, you might consider purchasing the July Tutorial Bundle! Click here to learn more about how you can get this and other past tutorial bundles. ANYONE (customers and demonstrators) who purchase $50 worth of product in July will get a coupon for $5 to redeem in August. Yay!! Click here for more details. Stamp-n-Storage 4th of July Sale! Purchase any Ink Pad Storage system now through July 5th and get 15% off! Click here to view the choices. Discounts will be applied automatically during the checkout process. Purchase the Starter Kit in July, join my community of Stampin' Up!® demonstrators (Stampers With ART Stars) for the fun and benefits, AND get the Carols of Christmas stamp set AND an Essentials Gift Pack of Tools for FREE (an extra $72 value)!